Hi everyone and welcome! 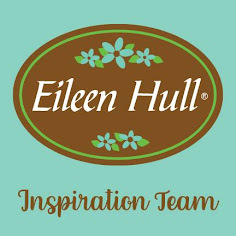 I'm back today with a canvas for the latest Frilly and Funkie challenge 'Author, Author' hosted by the amazing Suzanne Czosek. Here's what she has to say about the theme for this one; "I have a great love for reading and was a permanent fixture at the library growing up. I decided it would be fun to host a challenge inspired by books. There are so many wonderful books that inspire the mind to imagine the worlds created within them. Think fairy tales, mysteries, romances or even science fiction and use that to inspire your art. Your challenge it so create a shabby chic or vintage styled project inspired by a book. Provide an explanation of how the book and author inspired your project." 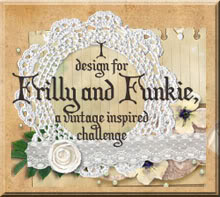 This canvas is based on a smaller card I made for a recent Frilly and Funkie Saturday Step by Step. Increasing the size of the project gave me chance to add more to the design, inspired by the book 'The Secret Garden' by Frances Hodgson Burnett. A story I remember from my childhood, it tells the tale of an orphaned child who has to learn to adjust to a completely new way of life, helped by those around her. She in turn becomes instrumental in helping her cousin regain his physical strength, as they and their friend spend time in the same walled garden that had been the scene of such tragedy many years before. So that's my contribution to the collection of 'Author, Author' literary inspired creations from the Frilly and Funkie Design Team and our very special Guest Designers Autumn Clark and Mary Elizabeth Searcy. 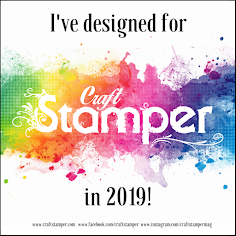 Make sure you hop on over to see their fabulous makes and find out which authors captured their imaginations, by which time I'm sure you'll be ready to join in the fun and be in with a chance to win! This is really stunning Jenny. Such bright autumn colours and a lovely design! This is stunning Jenny, I love the colours and gorgeous way you have used the elements to represent the ethos of the book. Gorgeous! I loved the secret garden and your canvas had me thinking of the beauty hidden in the garden. Wonderful canvas and such a great representation of a secret garden with all the flowers and the watering can. Love all the texture and the great colour palette. Oooooh...so very beautiful! You captured the magic of that story in this glorious canvas. I love the color palatte and the way the flowers are both in the watering can and on the ground. It just draws you in. Superb! I'm so, so behind - but delighted to have the time to step in to your Secret Garden. What a gorgeous canvas, with so many magical elements. The depth in the background is amazing and your watering can is weathered to perfection. Gorgeous! Jenny Love the stenciling that creates a wonderful backdrop for your glossy wildflowers and weathered watering can. A great way of telling depicting the 'Secret Garden'.